New Rafflecopter giveaway – win one of 25 digital copies of Shizzle, Inc! Thank you to whomever mentioned this idea in comments! I’ve decided to take a plunge, although a free one at first, and created my very first giveaway on Rafflecopter. It was ridiculously easy to set up and the giveaway is free of cost to everyone – I am on the free plan with Rafflecopter, and giving away ebooks, so it will be just a matter of time to send files to the winners. The giveaway will run for 10 days and, as always, I will update you on the stats. I will also post my thoughts on whether or not I will upgrade to a monthly plan. This time, in addition to more reviews, I hope for an impact on social media – in order to win, one would have to either follow me on Twitter, or tweet a message (or both, if they want to increase their odds of winning). I think multiple entries are allowed, so lets see what happens – currently I have 38, 705 followers. Have you done one of these yourself? Was it worth it? I will also test Amazon giveaways shortly, and will write a comprehensive comparison of all three soon. Don’t fear HTML…make it work for you, one step at a time! I was re-reading reviews of Shizzle, Inc (Isa Maxwell escapades Book 1) the other day. I do that quite often, actually – nothing like reading a good review of your book to get you out of the bed and to the keyboard. One of the reviewers mentioned that my book was somewhat similar in style to Confessions of a Shopaholic (Shopaholic, No 1) . I personally think that it’s more like The Devil Wears Prada: A Novel or maybe Bridget Jones’s Diary . In any case, it was great to see my book compared to a bestseller. Scary mess, right? Actually, not scary at all. You can write the entire post in “visual” setting, if you wish, then switch to HTML and plaster affiliate code in the right places. Switch back to visual, check that it looks ok, and voila! You’re in business. Literally. 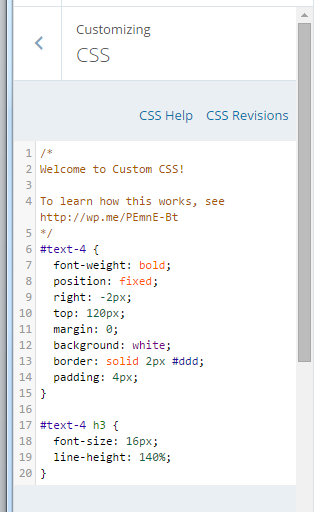 If you want a bit more info on how to use HTML in WordPress.com, visit this WordPress support post. First things first – sign up to be an affiliate. Because I’m already registered with Amazon, it was ridiculously easy. Took about 5 minutes and I have no problems to report, or lessons learned – just make sure to have your tax number ready. The only bugger was that I can’t get paid by direct deposit, as I’m not in the US – so I’d opted to be paid with a gift certificate. Once I’d found it, I clicked on “Get link” and chose “text only” – to make long story short, I could not get image and text html to work and have found a work-around. And here you go – I now have a working affiliate link in my sidebar, which should be earning me a cool 4 cents each time someone buys a book via my website! Yay! Does anyone have experience building an email list, and if so – was it worth it? And how do I get a signup form into a template? Sorry for this completely uninformative and uninspiring post. I promise to make it up with the next one!